How Do You Maximize Your Hearing Potential? We know how important hearing is to your life, your loved ones, your work success, your safety, your ability to stay in the game. Don’t think you have hearing loss? 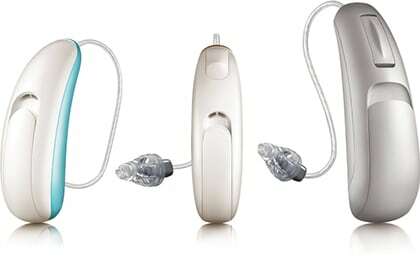 Most people don’t admit hearing loss to themselves or others. Are you bothered by tinnitus or other head noises? Do you have trouble hearing over the telephone? Can you hear your dining partner clearly in a noisy restaurant? Have friends, family, co-workers or neighbors told you to have your hearing tested? Do others ask you to turn down the volume on the TV? Does life sound as rich and full as it once did? Can you hear the birds twittering? Can you hear the sound of a child’s whisper? Hearing loss is common among all age groups – young, seniors and in-between. But hearing loss doesn’t have to limit you and it doesn’t have to hold you back on the job. Browse our current selection of hearing aid styles and let our knowledgeable staff help you find the right fit for your lifestyle. We’re local, convenient and we care about you. We’re easy to find and offer hearing tests, no obligation hearing aid consultations and the latest in digital hearing aid technology.